A rare 4 bedrooms plus loft townhome with mountain views is now on the market! This beautiful and well-maintained unit has many features including Monarch Plank Hardwood Flooring and granite countertops in the kitchen, as well as Frigidaire and GE appliances. The kitchen’s breakfast bar opens to the family room with access to the private patio that is perfect for evening entertainment on summer nights! There is a separate master retreat upstairs highlighting a generous master bath with roman tub (and separate shower), dual sinks, an oversized walk-in closet, fireplace, and a private balcony with a mountain view. A loft area off the master suite has approximately an additional 100 sq ft currently used as a reading nook and work out space. Two secondary bedrooms share a Jack and Jill bathroom where the 3rd bedroom has access to the full bathroom. This home has a two car garage with direct access into the unit with additional built-in storage and a workbench. The full sized washer and dryer inside will be staying in the unit. This is a gated complex with a convenient location to shops, restaurants, and freeways. 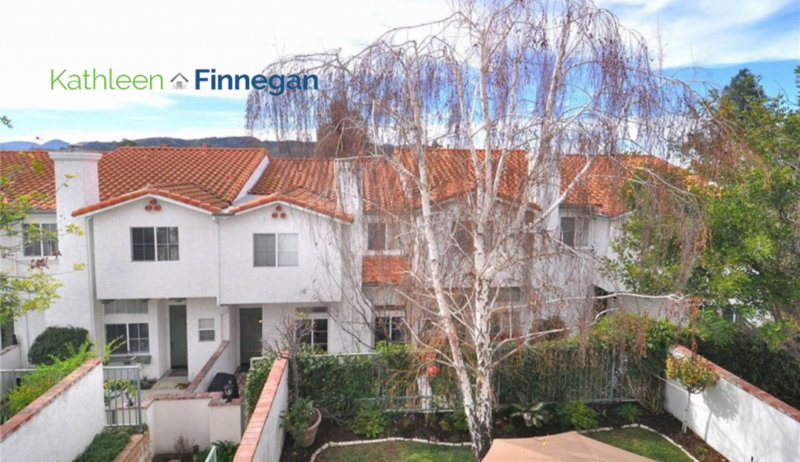 This home is found in the Conejo Valley School District. This entry was posted on Wednesday, April 10th, 2019 at 4:04 pm and is filed under Item of Value, Listing. You can follow any responses to this entry through the RSS 2.0 feed. You can leave a response, or trackback from your own site.